German engineering group Ferrostaal is under suspicion of paying bribes to secure contracts and of organizing bribery payments on behalf of other firms for a fee. The case could have repercussions for the whole of German industry, says one former executive of MAN, Ferrostaal’s former parent company. It was enough to arouse suspicions. For many years, there had been recurring stories about presumed bribe payments by Essen-based plant construction group Ferrostaal. In one case, the company allegedly paid 200,000 deutsche marks (€102,258, $138,099) to former Indonesian President Bacharuddin Jusuf Habibie. In another, the family of former Nigerian dictator Sani Abacha is believed to have received 460 million deutsche marks for the construction of a metal-processing plant. Few of these allegations have stood up in court, however, partly because some of the payments occurred during a period when so-called “useful expenditures,” or payments made to procure contracts, were not yet illegal in Germany. But since Wednesday of last week, there are many indications that bribery payments were commonplace at Ferrostaal. Klaus Lesker, a member of the executive board, was arrested last week, and the Munich public prosecutor’s office is also investigating two former board members and other senior executives for “a particularly serious case of bribing foreign officials in connection with international business arrangements,” as well as for suspected tax evasion. The prosecutors’ list of suspects now includes about a dozen people. Investigators have their sights set on five projects, worth a total of almost one billion euros, which the group is believed to have secured through bribery. The investigators also believe that the numbers could quickly rise in the coming days. “What we have now is just the beginning,” says one official. A few key documents already fell into the hands of prosecutors last year, during their corruption probe into Ferrostaal’s former parent company, engineering group MAN. Last July, authorities conducted a raid on Ferrostaal offices in Essen because they suspected that bribes had been paid in connection with the sale of eight oceangoing tugs to a Hamburg shipping company. Did Ferrostaal Arrange Bribes for Other Firms? In the proceedings that has now been launched, under case number 565 Js 33037/10, the investigators can apparently rely on the extensive testimony of two witnesses. The allegations against Ferrostaal are serious: Did the company not only pay bribes itself for years, but also do the dirty work on behalf of other companies in return for a fee? A case in point is that of Giesecke & Devrient, a Munich-based company that specializes in banknote and securities printing. The case concerns the sale of five printing and embossing machines, as well as a system used to destroy banknotes, to the Indonesian state-owned banknote printing company. Ferrostaal is believed to have brokered the deal and, through a consultant, paid bribes to local officials. Giesecke & Devrient, which is also under investigation, says it “has not been aware of any irregularities to date.” Nevertheless, say company officials, they have asked their auditing department to review business relationships with Ferrostaal. The prosecutors’ files also include the case of a company headquartered near the northern German port city of Bremen, for which Ferrostaal allegedly brokered a deal worth about €28 million to sell a coast guard vessel to the Colombian navy. Ferrostaal is believed to have collected a five-percent commission for its services. According to prosecutors’ records, subsidiary Ferrostaal de Colombia is believed to have arranged for the payment of bribes estimated at €625,000-850,000 to “decision-makers in the navy and at the ministry.” The parent company presumably collected fees in the high six figures. Ferrostaal is also believed to have paid bribes for the Bremen company to the Argentine coast guard in 2006, also in return for a contract. An employee of the Argentine defense ministry allegedly received a six-figure sum of euros from the local Ferrostaal office, which he apparently shared with two high-ranking navy officers. Prosecutors believe that board member Lesker was at least partly aware of the payments. Ferrostaal is unwilling to comment on the charges in the current investigation. Nevertheless, tempers apparently ran high during a supervisory board meeting last Friday. “The company is on shaky ground,” says one auditor. Lesker’s attorney, Eberhard Kempf, was unavailable for comment by Friday evening. Insiders suspect that even more cases in which the Essen company did the dirty work for other companies could turn up soon. “The case could have repercussions for the whole of German industry,” says a former MAN executive. The current internal corruption scandal at Ferrostaal revolves around the delivery of two Type 209 submarines to Portugal. Ferrostaal, which had bid against submarine builder HDW and shipbuilder Thyssen Nordseewerke, won the €880 million contract in November 2003 — with the help of bribes and a number of phony consulting contracts. According to the investigators’ files, a Portuguese honorary consul approached one of the Ferrostaal board members in 1999. The man allegedly said that he could be helpful in the initiation of the submarine deal. According to the files, the honorary diplomat demonstrated his influence by setting up a direct meeting in the summer of 2002 with then Prime Minister José Manuel Barroso. The Ferrostaal executives in Essen were apparently so impressed that they signed a consulting agreement with the honorary consul in January 2003, in return for his “constructive assistance.” Under the agreement, the Portuguese diplomat was to be paid 0.3 percent of the total contract volume if the deal went through. The consul ended up collecting roughly €1.6 million, which the investigators see as a clear violation of his duties as a diplomat. But it appears that Ferrostaal did not rely solely on its advisor’s good connections to bring about the submarine deal. 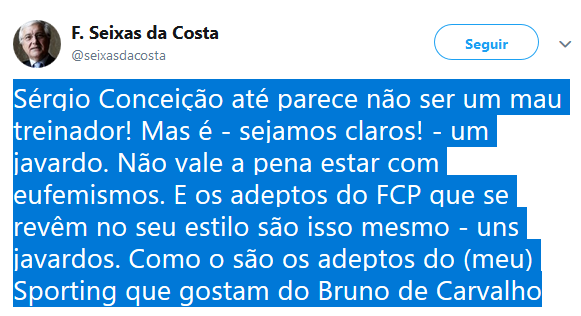 It is believed that a consulting agreement was concluded between Ferrostaal and a partner, on the one hand, and a rear admiral in the Portuguese navy, on the other. The deal, most recently, was worth €1 million. A Portuguese law firm is also believed to have played a role in ensuring that that the contract was awarded to Ferrostaal, and that plenty of bribe money was paid in return. It appears that, in the end, Ferrostaal paid so many consulting fees that not much was left in the form of profits from the submarine deal. Dear Ricardo, have you any doubt about de the corruption deal? No, of course.